The highlight of the year for many young Australian musicians, AYO National Music Camp is a whirlwind of new faces, exhilarating challenges and uplifting performances. Experience a musical summer as part of a symphony or chamber orchestra, and let yourself be inspired by tutors, artists and conductors of international standing. Beginning his career as a trombonist with the Royal Danish Orchestra, Giordano Bellincampi is the Music Director of the Auckland Philharmonia, and is a guest conductor of many leading orchestras around the world, particularly in Scandinavia and Europe. Read more. 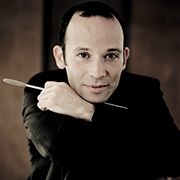 Ariel Zuckermann is Music Director of the Israel Chamber Orchestra. 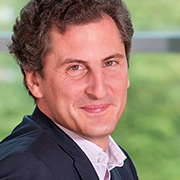 He started his conducting career as Assistant Conductor to Iván Fischer at the Budapest Festival Orchestra, resulting in a number of critically-acclaimed orchestral performances. Read more. 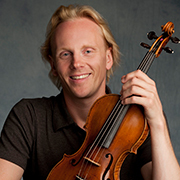 Dale Barltrop is Concertmaster of the Melbourne Symphony Orchestra and First Violinist of the Australian String Quartet. A passionate educator, Barltrop has served on the faculties of the Vancouver Symphony Orchestra School of Music and the Vancouver Academy of Music. Read more. Described by The Australian as a ‘musical ambassador’, Anna Goldsworthy is one of Australia’s most acclaimed and versatile musicians. 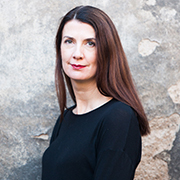 As a piano soloist, she has performed extensively throughout Australia and internationally, and as a chamber musician she is a founding member of Seraphim Trio. Read more. David Elton is Principal Trumpet of the London Symphony Orchestra. 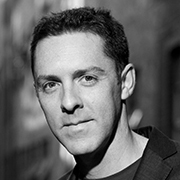 As a soloist, David has performed concertos with the Sydney Symphony Orchestra, the ACO, and the world-premiere of James Ledger’s Trumpet Concerto with the West Australian Symphony Orchestra. Read more. You’ll experience two weeks of immersive musical training and exhilarating concert performances at AYO National Music Camp. Every participant is assigned to one of two symphony orchestras or a chamber orchestra, and will spend the majority of their time at camp with this ensemble. The two symphony orchestras will be led by conductors Giordano Bellincampi and Ariel Zuckermann, and the chamber orchestra will be directed by violinist Dale Barltrop. All students attend tutorials with a leading instrumental tutors, and have access to mentorship and professional development sessions led by our experienced AYO staff and our Artists-in-Residence; Dale Bartrop (violin), Anna Goldsworthy (piano), and David Elton (trumpet). In addition, all participants have the opportunity to explore the world of chamber music as part of a smaller chamber ensemble. With an action-packed schedule it’s important to look after our participants. We provide airport transfers, comfortable shared accommodation and three meals per day for every camp attendee. Participants must cover their own transport and instrument freight costs to and from Adelaide airport. All meals, transfers and accommodation will be provided.